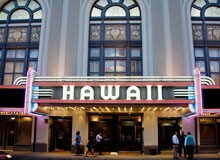 Hawai‘i has a thriving and vital cultural life with a creative economy that generates income, jobs and tax revenues. Enterprises rooted in Hawai‘i’s unique arts and culture, design or aesthetic values contribute to the state’s economic growth and positively enhance the quality of life. And the rest of the world is taking note. 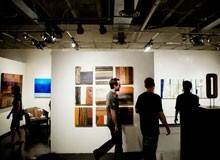 Nationally, Honolulu is ranked among the top art destinations for mid-sized cities. The Creative Industries Division, which is part of the state’s Department of Business, Economic Development, and Tourism (DBEDT), is committed to supporting programs that promote the development and growth of Hawaii‘i’s Creative Economy and its highly skilled work force. According to a report by DBEDT, the creative industries are making significant impacts on the local economy. In 2002, the creative economy generated nearly $1.984 billion in sales, which increased to $2.336 billion in 2005. That’s an average annual increase of 5.6 percent. Likewise, total state personal income for creative workers increased at an annual rate of 3.9 percent to $1.110 billion in 2005. And in 2005, Hawai‘i’s creative economy produced nearly 28,884 jobs, an increase of 7.4 percent annually from 2002. Today, sectors of Hawai‘i’s creative economy continue to grow, thanks in part to some globally competitive state tax incentives. For example, Hawai‘i’s film and television industry contributes annual revenues of more than $100 million. Since the new 15%-20% tax incentives went into effect in 2006, film and television production activity has increased dramatically. These tax benefits also extend to individuals (musicians, vocalists, engineers, producers, digital media, game developers and filmmakers) that participate in the creation of qualified performing arts products. For over a century, Hawai‘i’s music has been entertaining audiences around the world, and now it is getting more exposure than ever before. Hawai‘i’s music industry lobbied for years, with state support, to get its own category at the Grammy Awards. Finally in 2005, the National Academy of Recording Arts and Sciences (NARAS) created a Grammy Award for Best Hawaiian Music Album in the Folk Music Category. Hawai‘i also has its own version of the Grammy Awards honoring excellence in music and performance at the annual Hoku Awards. To expand national and global opportunities for Hawai‘i’s musical talent, DBEDT supported the creation of an innovative program at Honolulu Community College. Music & Entertainment Learning Experience, or MELE, which is specifically designed to teach the business of music to a growing sector of Hawai‘i’s creative industries. Students learn about everything about the business of the music industry, from songwriting to record production, to contracts and career management. MELE has a working partnership with one of the nation’s leading music industry programs, at Belmont University in Nashville, the capital of country music.